Is your mind racing around from work to kids, to decisions, to planning and back to work? Is your well-deserved night-time rest disturbed by the burden of career pressure, business stress, and family issues? Do you find it difficult to switch off? If you recognise a few of these situations, it is a sign that you are feeling out of control and that feeling is undermining your confidence, adding to stress levels and pushing you in the direction of more unhappiness. Most of us have experienced the feeling of being out of control. Sometimes it present itself as being snappy, crying easily or feeling tired and grumpy - these may happen before you realise that you are losing it, losing the control that is. You don't understand what is happening around you and inside you. And if you don't understand, you don’t know what to do. What goes on in a situation like this is that your internal dialogue is inconsistent, your head speaks a different language from your heart. Your head gives clarity using logic, rational reasoning and facts. However, when a clear explanation doesn't make you feel any better it is because this doesn't resonate with your heart. Clara has it all - a great part-time job, two healthy young children, a nice house and a loving husband. She seems sorted, but she wasn’t. She slept badly, didn’t feel confident at work, thought she was a rubbish mum and was losing it. Clara was regularly in tears and had no idea why. Her life on the outside could not be any better. Her head told her that, her friends envied her and her family was proud of her. Inside however, her heart gave her a different message, 'I am not good enough, I am selfish and guilty'. Guilty of not being perfect? Clara’s big mistake was that she tried to ignore these messages and ignore her emotions. Suppressing emotions never works, as they will find a way of getting out. In Clara’s case, coming out in tears, unhappiness and stress. I took Clara through a proven system and helped her to feel her emotions, for example, crying and telling the story, then step into her head to look at the emotional aspects without judgment and with complete acceptance. For Clara, being able to be honest about what was going on gave her a huge relief and an understanding of what she had done. She had built a big story around the assumption that her boss was unhappy with her part-time status, which fuelled her insecurity and confidence. This then rubbed off on other aspects of her life such as her kids and family. Having discovered this, Clara decided to discuss with her boss how she could improve her involvement without working more hours. Preparation, sweaty hands and a sleepless night before the confrontation but celebration, relief and big smiles after the confrontation. Her boss told her he did not want to lose her, as she was a very valuable asset to his team and he was very careful with involving her in too much as he did not want her to feel overwhelmed and leave. Had Clara listened to her heart earlier, she would not have had to go through this emotional turmoil. However, she learned the hard way that honouring her emotions, and valuing them as an important signpost will help her in the future to create a healthy balance in and outside herself. 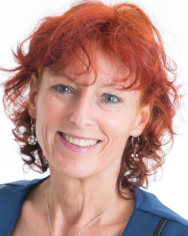 Dr Mariette Jansen (Dr De-Stress) is a psychological coach, using therapy models, coaching techniques and mindfulness meditation to help you become balanced, stress free and in control of your life. Focus areas are work-life balance, confidence, food/diet stress and general stress.